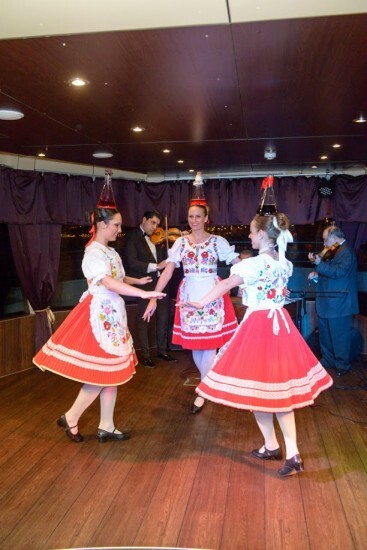 Enjoy an hour long Hungarian Folk Show on the river Danube in Budapest on an evening cruise. The Folk Show Cruise program is available with an optional 4 course dinner served at your very own table. The length of the cruise is 3 hours, from 7.30pm to 10.30pm. The Hungarian Folk Dance Show includes the traditional dances and dance motifs of various regions of historic Hungary like Kalocsa town or Szatmar county, including spectacular Bottle Dances (women balancing bottles on their heads while dancing), Stick Dances (men acting out shepherd with their herding sticks, making tricky dance moves). The 4 -6 dancers will present the Hungarian dances in a lively and enjoyable way, also showing various costumes of highlighted folk regions (different colors, patterns and embroidery). Learning a Bit of Folk Dance? The Hungarian Folk Show is followed by an interactive and fun workshop where you will get an opportunity to learn a bit of Hungarian Folk Dances. But only if you really want to, there is no pressure (but it is fun!). You can even get a photo of yourself / yourselves with the dancers, and more. The folk dancers are the members of the traditional folk ensemble called Folkrhythms, who gained show experience in the former, nationally and internationally acclaimed Rajko Folk Ensemble. The folk dance ensemble on the river cruise is 4 – 6 dancers, plus there is a quartet playing the folk dance music for the group. 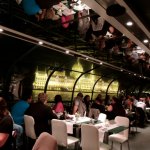 You may upgrade your Budapest Dinner Cruise ticket to include a 3 hour Unlimited Drink Package. You can choose from a variety of fine Hungarian wines. The red wine, white wine, rose and Tokaji selection is of the Hungarian Waldorf Manufacture’s wines, made in Mihaly Figula’s (awarded as the Hungarian Winemaker of the Year), and Zoltan Gunzer’s excellent Winery. Hungarian Sparkling wine in dry and sweet versions from the BB Fizz Winery. Further Hungarian Folk programs are also available in Budapest. I have an international scienctific organization at Budapest on 24-26 May. I am planning to boat tour with folk dance on 26 May for my participants around 50 people. 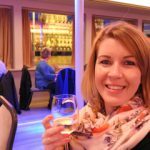 boat tour with non-alcohol drink? boat tour with non-alcohol drink + cookies? We have contacted you with a private group offer for your Budapest river cruise on your given email address. Hello! 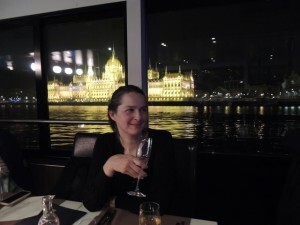 If we bought a map of Budapest, can we to get a discount when you buy folklore cruise online? I am afraid, I am not really sure what you meant when you said map of Budapest. Did you perhaps mean the Budapest Card tourist card including discounts? I want to book the dinner folk cruise on Christmas Day for myself and my parents. I’d like the unlimited drinks package where as they want the standard package but it won’t let me book both at the same time. Do I book and pay for them and then book another place for myself separately? If I do that does that mean that we can’t sit together or do we choose where we sit on arrival. If you could let me know that would be great so I know what to book. Many thanks. There will only be special festive cruises on 25 December, the Folk Dinner Cruise will not run on 25 December. The Christmas Day dinner cruises are either a la carte, served dinner, or buffet style (the dishes are self served and inclusive in buffet dinners). 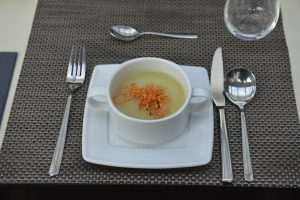 On all dinner cruises, you can choose from several kinds of meals (meat dishes, vegetarian options, soups, salads, desserts). Are there tickets for tonight? Yes, of course, there are still available tickets left for this fantastic program. Have a great time on board tonight. HI there, Is this a guided tour with some descriptions of the buildings we’ll be passing? The Folk Dinner Cruise (and dinner cruises) does not have any guide while cruising. If we book the dinner with folk dance, where do we go to dock and what is the name of this boat? The name of the ship is Taltos, and the meeting point is 5 min walk from Budapest city center at Dock 11 near Elizabeth Bridge, Marcius 15 Square. I have a question. We need a total of six tickets. Two with the unlimited drinks, two for the regular drink option, and two kids. We want the window seats, and we were wondering if there is a children’s menu, for one of the kids. I have a large conference in Budapest in September. I would like to enquire about the boat tour with folk dance for my participants around 50 people. We will soon send you an email. I have just paid via PayPal but have not received any confirmation for my cruise tonight. Is there a number I can contact to check? 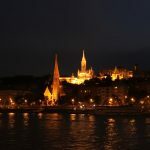 im a group of 30 people who are about to get to Budapest in april- and i would like to hear which prices you could give us for the trip? 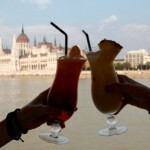 We have just contacted you via email offering you some group discounts on the Budapest river cruises in April. Please check your inbox and spam folder too. Hello! I have booked a hotel through booking and have received a 10% discount for dinner cruises. If I book a cruise online can you apply that doscount?